Focus on modern technologies, technical developments and assist surveyors, engineers and GIS/LIS professionals through guidelines and recommendations, to choose and utilise those methods, technologies and instruments that are most appropriate to different applications. Facilitate and follow technical developments through collaboration with other FIG Commissions and other international organisations; participation in appropriate meetings; and the preparation of appropriate publications. Foster and support research and development and stimulate new ideas in the fields of expertise represented within the commission. Formulate and formalise collaboration with manufacturers on the improvement of instrumentation and associated software. Geo PreVi 2018 Symposium “Geodesy for Smart Cities” took place in Bucharest, Romania on 29-30 October. The technical program was mainly organised by FIG Commission 5, 6 and 10. More than 120 participants from 14 countries attended this seminar. FIG Commission 5 supported several young surveyors from Romania and abroad. Mr. Mudit Kapoor from India (Indian Institute of Technology Roorkee) as well as Mr Gheorghe Tintari and Ms. Loredana Stoica from Romania received the grants. In conjunction with FIG Asia Pacific Capacity Development Network partners namely the Fijian Government - Ministry of Lands and Mineral Resources, Pacific Geospatial and Surveying Council (PGSC), the UN GGIM AP, FIG Commission 5, and the Pacific Geospatial & Surveying Partnership Desk – Pacific Community, a Reference Frame in Practice Seminar on Operational GNSS CORS will be held in Suva, Fiji 18-20 September 2018. The objectives of this event are to provide technical advice on the operational aspects of GNSS CORS infrastructure, to build a sustainable and modernised geodetic reference frame and datum, and also develop the capacity of surveyors in the discipline of geodetic surveying. Presently there will be over 20 presentations comprising of local and international speakers, with almost 100 delegates registered! FIG and development partners wish to thank Lecia Geosystems for their support. 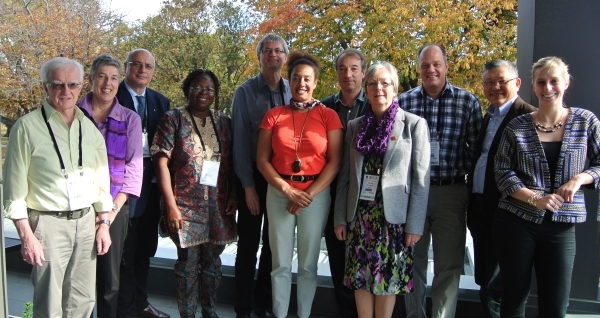 Read the latest Newsletter from Commission 5 that also includes report from the FIG Congress 2018. The commission chairs of the term 2019-2022 were elected at the General Assembly held in conjunction with the FIG Congress in Istanbul. Mr. Dan Roman from United States was elected at chair of FIG Commission 5. His term starts 1.1.2019. 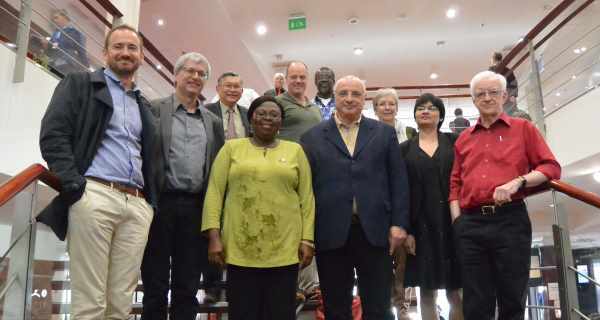 FIG Commission 5 was actively involved during the FIG Congress 2018 in Istanbul, Turkey. The Technical Seminar on Reference Frames in Practice was held in Istanbul on 4-5 May 2018. The main focus was on reference frames in general, kinematics and dynamic datums which reflects geodetic priorities for all regions suffering from natural disasters such as earthquakes. Participants mostly come from countries where there is a strong need to model deformation to maintain their accurate spatial reference frames. So, this Seminar has been a good platform to share knowledge and resources for their mutual benefits. The GeoPreVi 2018 is a scientific event of the Faculty of Geodesy - Technical University of Civil Engineering Bucharest and will be organized this year in cooperation with FIG Commissions 5, 6 and 10, Romanian Surveyors Union and Romanian Association of Private Surveyors. GeoPreVi 2018 is continuing the previous year collaboration with FIG. This year, International Symposium GeoPreVi 2018 is inspired by the theme Digital Geodesy for Smart Cities focusing on general topics like reference frames, positioning, surveying and Building Information Modelling. 23-25 October 2018 at RMIT University in Melbourne, Australia. The Multi-GNSS Asia (MGA) is an international cooperative initiative endorsed by the United Nation International Committee on GNSS to promote cooperation and utilisation of satellite positioning, navigation and timing services in Asia and Oceania. With the 2018 MGA Conference theme “Creating Solutions, Driving Innovation, Connecting Industry”, the event will present an informative program showcasing the latest advancements in GNSS technology and applications, innovative satellite positioning and navigation solutions, as well as connecting industries to explore new business cooperation in GNSS services, products and applications. MGA aims to expand the impact of navigation satellite technology right across our economy. Also, the program will include a facilitated networking event, open forums to discuss future collaborations and a young professionals and students event. The FIG Commissions 5 and 6 have an agreement with the Chief Editor of the Journal of Applied Geodesy: after the Working Week the best peer-reviewed scientific papers can be published in a special issue of this journal. We hope to give researchers and scientists from all around the world an additional motivation to attend the FIG Congress, and at the same time the opportunity to publish their valuable research results in a well-known Journal. The Geospatial Information Authority of Japan (GSI) , FIG Asia Pacific Capacity Development Network, and the UN Global Geospatial Information Management for Asia and the Pacific Working Group 1 are jointly hosting a one day meeting on “Regional Challenges, Benefits and Opportunities of Exchanging Geodetic Data” on 16 October 2017, at the Kumamoto City International Centre in Kumamoto Prefecture, Japan. examine solutions to challenges, impediments and the way forward. Chair of the Asia/Pacific Regional Network, Rob Sarib would appreciate to get comments or information about geodetic data sharing from our Commission 5 Delegate. For example – case studies from different countries, challenges, the benefits of data sharing, open data, policies etc. You support would be appreciated.